To tip or not to tip? 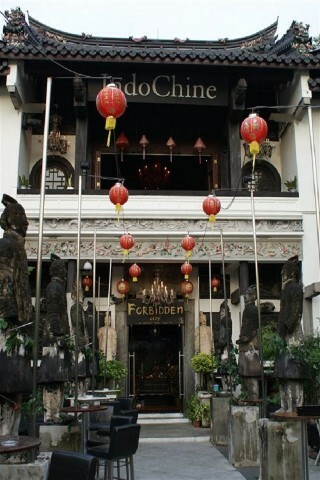 When dining in a foreign country, that is often the question. In Singapore, the short answer is no – the country does not have a tipping culture. 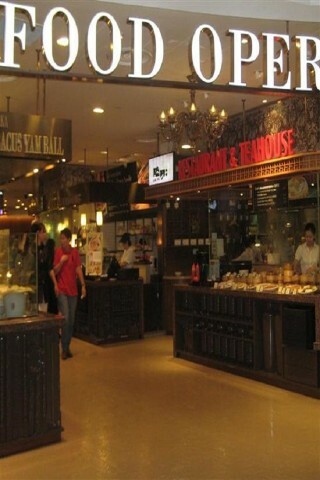 For the long answer, keep... Read our full review of Are you supposed to tip in Singapore?. Recently we had the chance to pose some questions to Singapore’s most famous critic of hawker food – KF Seetoh of the Makansutra guide. Instead of asking where to get the spiciest chili crab or the most savoury char kway teow, we kept it simple and asked just one... Read our full review of Three meals with Singapore food critic KF Seetoh. Who says you need a lot of money to eat like a king? Singaporeans have applied the foodie mentality to their beloved hawker stalls where the best meal of your life can cost only a couple bucks. There are hundreds of blogs and guides rating Singapore’s thousands of food stalls, but the most highly-regarded foodie guide is the... Read our full review of The Makansutra: Singapore's famous foodie guide. To quote Singaporean food blogger Leslie Tay, Never waste your calories on yucky food! This is even more important for visitors to Singapore who have a limited number of meals to sample the city's diverse and delicious cuisine. Thankfully, there's no shortage of food apps to direct smartphone-toting travellers to the most mouthwatering... Read our full review of The best Singapore iPhone food apps. 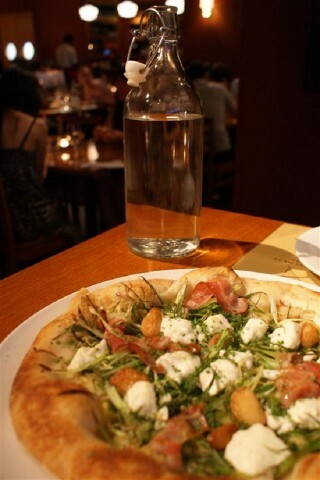 With the temperature in Singapore regularly hitting 35°C you’ll want to keep hydrated as you explore the city. When it’s time for a drink, try cooling down with one of these quintessentially Singaporean... Read our full review of What to drink in Singapore. Singapore is an expensive city to spend time in as a tourist, but you can trim some fat from your budget when it comes to meal time. Thanks to the city’s abundant hawker centres, you can get three square meals for around S$10 without sacrificing taste or... Read our full review of Eating in Singapore on S$10 a day. No self-respecting food lover would come to Singapore without trying the famous chilli crab, but local cooks have plenty of other delicious tricks up their sleeves for dealing with prawns, squid, cockles and even stingrays. If you’re a fan of fresh seafood, you won’t want to miss out on... Read our full review of Must-try seafood dishes in Singapore. You wouldn’t know it by walking past or from reading the sign outside, but Chye Seng Huat Hardware brews some of the best coffee in Singapore. This retro-chic cafe roasts their own beans and has a coffee bar where you can sample their different blends and brewing methods as well as some delectable... Read our full review of Chye Seng Huat Hardware. Experience a traditional Chinese tea ceremony at this antique-filled cafe on the outskirts of Chinatown. 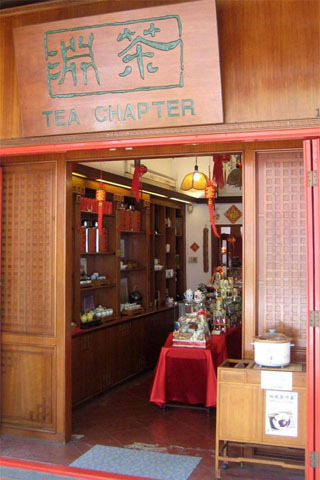 Pots of tea range from S$10 for classic Oolong to S$15 for fragrant Eight Treasures with dried fruits and flowers. Staff are happy to explain the benefits of each blend and the traditional way to brew it. It’s easy to spend a few hours here and if you get peckish there’s a small menu of... Read our full review of Tea Chapter. 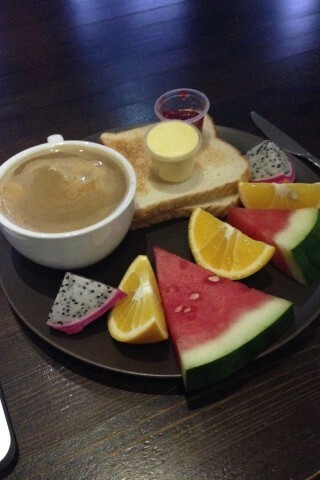 One thing you learn from travelling is that what people like to eat for breakfast varies wildly by culture. This means that in multi-ethnic Singapore there are multiple traditional breakfast options available at hawker centres across the... Read our full review of Traditional breakfasts in Singapore. 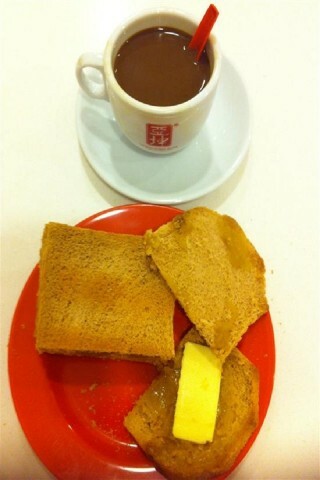 Singapore’s traditional breakfast of kopi or teh with kaya butter toast and eggs has seen a surge in popularity in recent years, with local chain Ya Kun even branching out abroad. 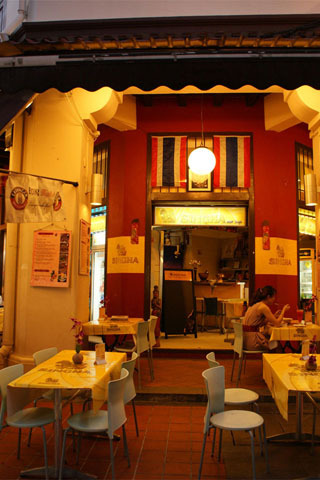 If you’d like to get nostalgic and take a step back into Singapore’s culinary past, where should you... Read our full review of Singapore's old-style cafes. 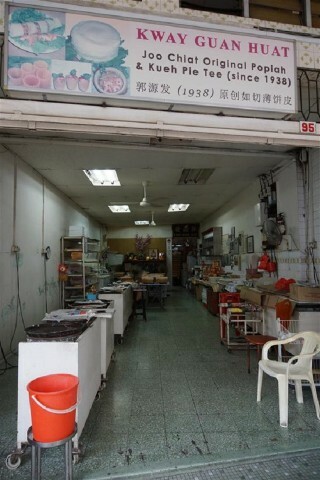 The traditional method of brewing Singapore-style coffee is alive and well at Nanyang Old Coffee in the Chinatown neighbourhood. Come for a cup of kopi-o, handmade dim sum and to browse the mini-museum of antique coffee-making... Read our full review of Nanyang Old Coffee & Museum. Tiong Bahru is quickly becoming known as one of the trendiest neighbourhoods in Singapore, and one of the reasons is the presence of cafes like Forty Hands. 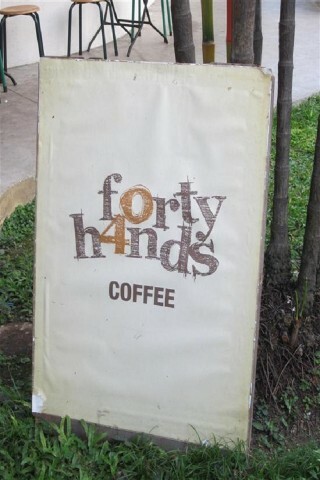 This Melbourne-inspired cafe has an artsy atmosphere, fantastic fair-trade coffee and makes one of the best breakfasts in... Read our full review of Forty Hands Cafe. Having already covered the best coffee shops in Singapore, I now turn my attention to the caffeinated brew known as kopi. 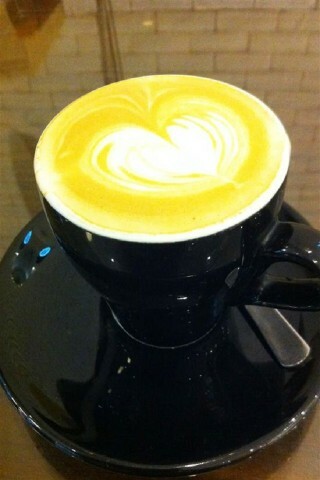 Though it starts with the same beans, Singapore-style coffee has a culture and caramelised flavour all its own. Try a cup at one of these top kopi shops and you might just become a kopi... Read our full review of Singapore's best kopi shops. 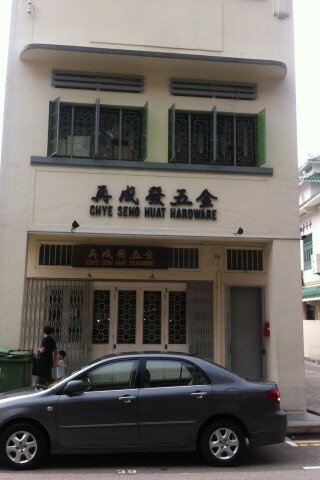 UPDATE, December 2012: While Palheta coffee still exists, it’s now being served at Chye Seng Huat Hardware and the address below is no longer current. Instead head to 150 Tyrwhitt Road, or contact them on 6396... Read our full review of Singapore's best coffee shops. Singapore is so westernised that it’s easy to forget you’re in Asia, but one local tradition that’s holding strong is the kopitiam. Found in every hawker centre, these local breakfast joints are more than just a place to satisfy your caffeine cravings. 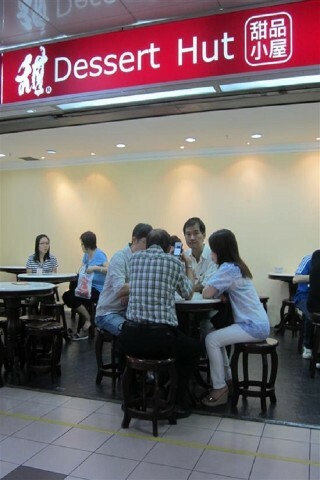 Given that most Singaporeans live in crowded apartment blocks, kopitiams have become the country’s open-air living rooms. While the young... Read our full review of How to order coffee like a Singaporean. 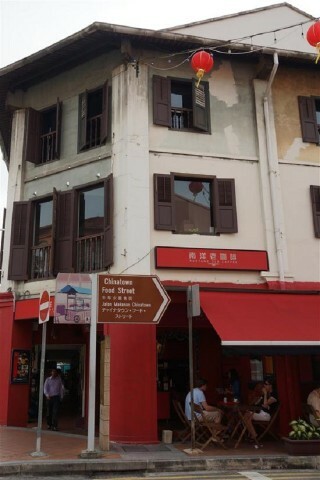 Singapore’s Arab Street is a charming hotchpotch of textile stores and cafes selling Turkish and Iranian food right next to watering holes and hip hostels. 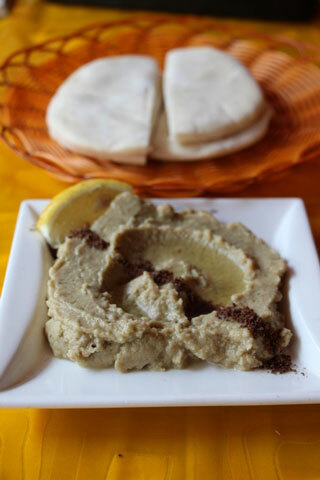 While many of these have come and gone over the years, the Cafe le Caire has been serving delicious well-priced Middle Eastern fare for more than a... Read our full review of Cafe le Caire. You can get a bowl of laksa, a spicy seafood noodle soup, at any hawker centre, but Singapore’s east coast traditionally lays claim to katong laksa -- regarded as a quintessentially Singaporean dish. 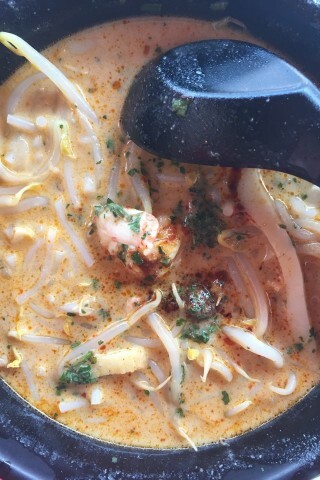 In this variant the broth tastes more of curry than coconut milk and the noodles are diced so they’re easy to ladel in the spoon with cockles, fishcake and bean sprouts. Chilli paste is served on... Read our full review of 328 Famous Katong Laksa. In many Southeast Asian countries being a vegetarian limits you to a boring diet of fried rice with veggies. This couldn’t be further from the case in... Read our full review of Singapore's best vegetarian restaurants. Named after Joseph Balestier, the first US Consul to Singapore, Balestier Road runs alongside what used to be his sugar-cane estate. While no traces of sugar cane remain, Balestier today is a great spot to wander and sample a range of traditional Singaporean dishes. Strap... Read our full review of Eating around Balestier Road. In most cases Singapore’s delicious hawker food is best enjoyed at open-air hawker centres, but there are rare exceptions to this rule. One of them is Kway Guan Huat, a simple shop in eastern Singapore that has been following the same family recipe to make their popiah for more than 70... Read our full review of Kway Guan Huat Popiah. 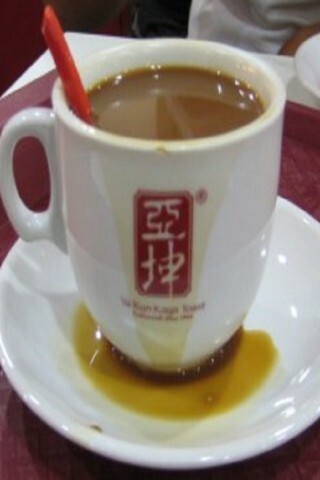 Kopi and Tiger beer flow as Singaporeans sit back and loosen their belts after a day’s work. The auntie-in-charge hustles about, spare change clinking in her fanny pack. Sizzling ‘wok breath’ fills the air as white-clad chefs saute with an agility that rivals the pro footballers on the house TV. The drink stall may be the anchor of any kopitiam in the Singapore heartlands, but without a... Read our full review of Zi char: The hearty food of Singapore's kopitiams. 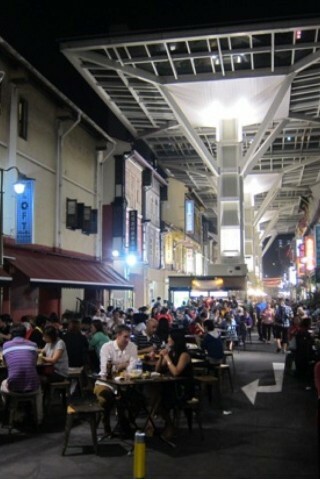 After a S$5 million revamp, much-loved Chinatown Food Street finally re-opened at the end of February 2014. Occupying a 100-metre stretch of Smith Street, the new Food Street features 24 excellent hawker stalls — more than double than in the past — with many of them new ones selected from among the famous in the... Read our full review of Chinatown Food Street. Ayam penyet (literally “smashed chicken”) may technically be an Indonesian dish, but you’re more likely to find it on the menu in Singapore than in Bali. Singapore is wild for this dish of fried chicken, rice, tofu and spicy sambal, and Ayam Penyet Ria Restaurant on Orchard Road is the original source of the... Read our full review of Ayam Penyet Ria Restaurant. 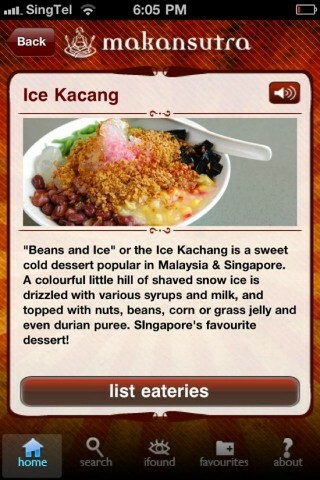 Singapore is famous for spicy, savoury foods like chilli crab and laksa, but what’s for dessert? To satisfy your sweet tooth, head to Dessert Hut where you can sample Singaporean concoctions like mango sago and peanut soup at bargain... Read our full review of Dessert Hut. 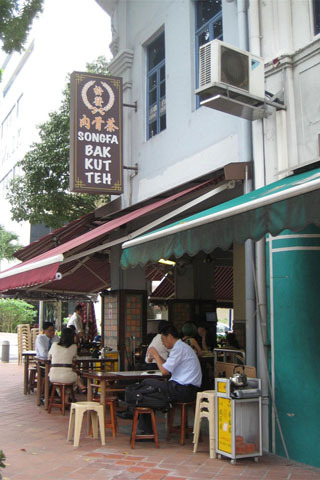 A short walk from Clarke Quay SMRT, Song Fa Bak Kut Teh is a perpetually busy powerhouse specialising in bak kut teh — literally pork bone tea. Popular for breakfast (yes really), lunch and dinner the dish consists of fatty pork ribs, a secret blend of herbs, and many hours of boiling. The results? a soup so flavourful you’ll want to eat a large bowl despite the heat. 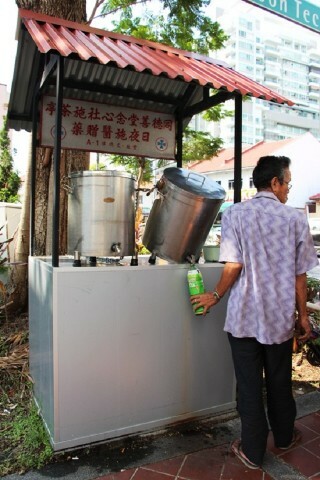 The soup is eaten... Read our full review of Song Fa Bak Kut Teh. The oily curries taste like a failed fusion of Thai and Indian food, but signature dishes like mohinga (noodles and chickpea fritters in fishy broth) and pickled tea leaf salad (an explosion of flavours and textures) are so unique you’ll get cravings for them. 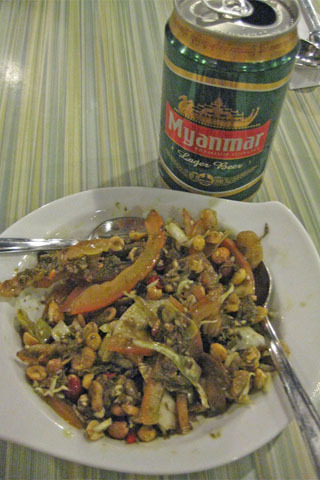 Set meals with a drink and side are a good value and help solve the challenge of figuring out what to order — the Burmese staff are... Read our full review of Inle Myanmar Restaurant. If you’re looking for decent Vietnamese food in the heart of Singapore’s Chinatown, Yummy Viet, on Smith Street is a solid and not too expensive option right in the middle of things. Yummy Viet is right on Smith Street, in the midst of the revamped, quite touristic, Chinatown Food Street and offers healthy rice paper rolls, bánh mì (baguette sandwiches), noodle salad with barbecue pork and... Read our full review of Yummy Viet. In the chaos of the Chinatown street market the sound of the waitresses saying Sawasdee kha! 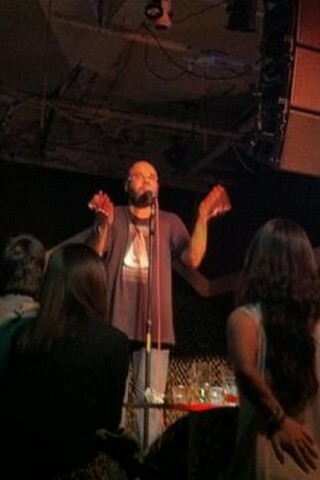 rings out like an angel. 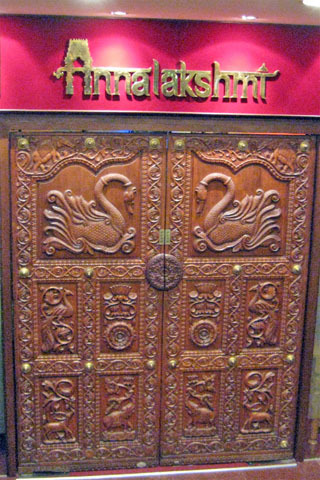 We used to be quite down on here as the Thai food was really toned down in its kick to accommodate a tourist’s palate, but on a more recent visit, we found the food had improved considerably both in taste and presentation (along with a revamped menu and inching up prices for... Read our full review of Sawasdee Thai Food. 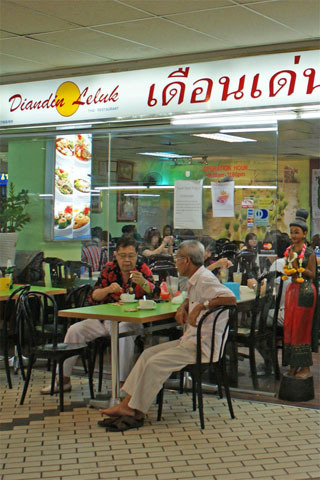 From the Thai-speaking staff to the portraits of the Thai King on the wall, Diandin Leluk is just about as authentic as it gets in Singapore without hopping on a plane to Bangkok. The menu is extensive and covers everything from stand-bys like tom yam goong and green curry to northeastern Thai specialties like larb and chicken feet. We’ve eaten here a few times and are yet to have a bad... Read our full review of Diandin Leluk. 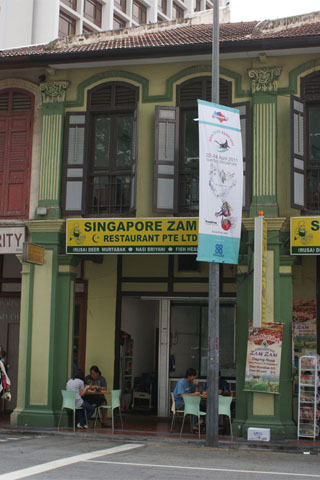 This legendary Kampong Glam restaurant has been serving tasty Malay food since 1908 — well before Singapore was an independent country! Though they make a mean briyani, Zam Zam’s signature dish is murtabak, an artery-clogging concoction of fried dough stuffed with mutton, diced onion and egg served with a bowl of curry gravy. 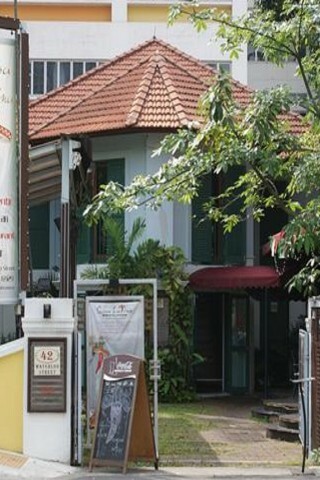 The restaurant is busy all hours of the day and it’s worth... Read our full review of Singapore Zam Zam Restaurant. 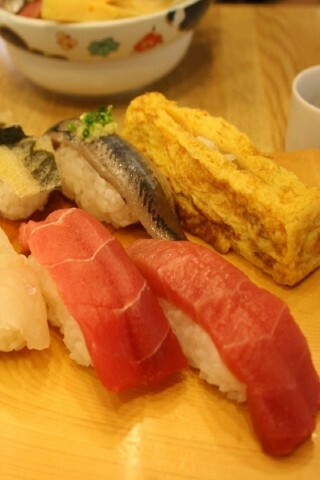 With its cosmopolitan population – including many Japanese expats – you’re never far from a sushi restaurant in Singapore. Whether you just want a couple of California rolls in a take-away container or a Michelin-starred dining experience, Singapore has something to satisfy sushi cravings on any... Read our full review of Sushi for every budget in Singapore. To outsiders Singapore is one sprawling city, but to its residents there are two distinct divisions: town and the heartlands. Often the only part of Singapore that visitors experience is Orchard Road, Raffles Place to Marina Bay and other central areas where you find five-star hotels and people queuing to shop at Louis Vuitton. A sharp contrast, the heartlands are largely residential areas with... Read our full review of Singapore's best heartland hawker centres. Iconic Lau Pa Sat hawker centre, nestled into the heart of Singapore’s financial district and a great spot to sample local cuisine as well as international dishes, reopened in mid-2014 after a nine-month renovation that left it bigger, brighter and better than ever. The makeover gave the food centre a spruced up interior, improved ventilation and a reconfigured layout of food stalls, while... Read our full review of Lau Pa Sat hawker centre. Many foodies make a pilgrimage to this Beach Road hawker centre to slurp up sup tulang — mutton bones cooked in spicy tomato sauce. Anthony Bourdain gave it a go when he visited Singapore, but the other offerings are equally good. Try the char kway teow (fried noodles), fish head curry, roti prata (flatbread with curry), and pretty authentic Thai food that’s spread over from the Golden... Read our full review of Golden Mile Food Centre. Still often known as Lavender Food Square, New Century Food Paradise is a typical Singaporean hawker centre that serves a wide array of food at bargain... Read our full review of New Century Food Paradise (Lavender Food Square). 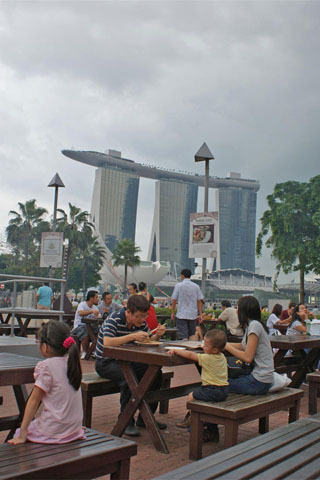 Enjoy $5 dishes and a million-dollar view of Marina Bay at this outdoor hawker centre beside the Esplanade Theatre. Each stall has been handpicked by the Makansutra team — Singapore’s top hawker critics — as being an exemplary example of a classic hawker dish. Choose from fried carrot cake, roti prata (flatbread with curry), oyster omelettes, barbecued chicken wings, and lots of fresh... Read our full review of Gluttons Bay. 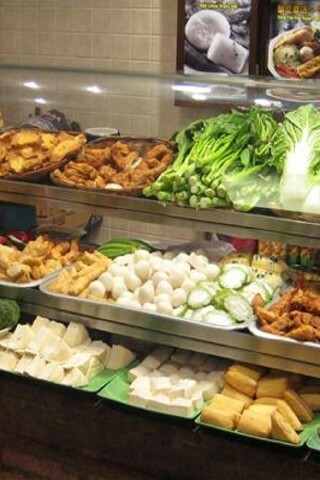 Singapore is a food lover's paradise. Luckily for those on a shoestring budget the city's best eats aren't at five-star restaurants but at the plentiful hawker centres. Squeaky-clean Singapore forbid street food decades ago, rounding up its sidewalk chefs into foodcourt-like settings called hawker centres. 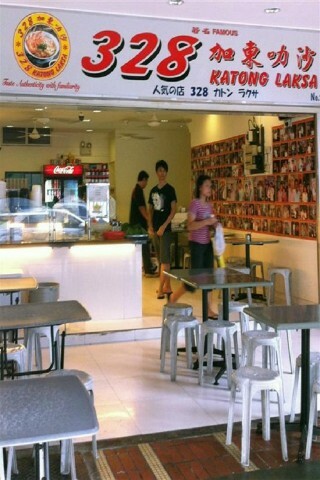 They're clean, cheap, and offer diverse and delectable food. 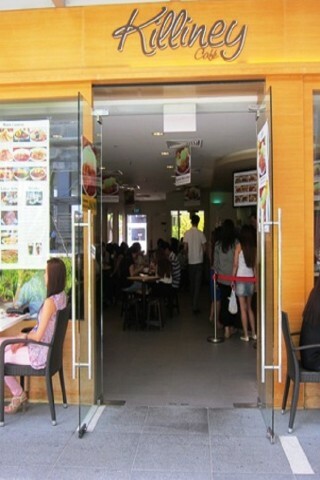 Hawker centres are everywhere,... Read our full review of Our top 10 Hawker Centres. 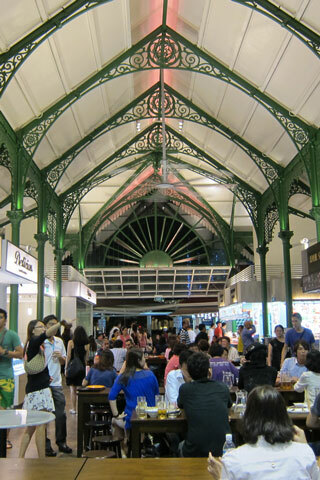 If you consult a Singapore travel guide to find out which hawker centre serves the best seafood it will likely recommend Newton Circus, which is also known for touting and overcharging tourists. Instead, ask a Singaporean living on the west coast and they’ll point you in the direction of Pasir Panjang Food Centre where you can get a better seafood feast for... Read our full review of Pasir Panjang Food Centre. 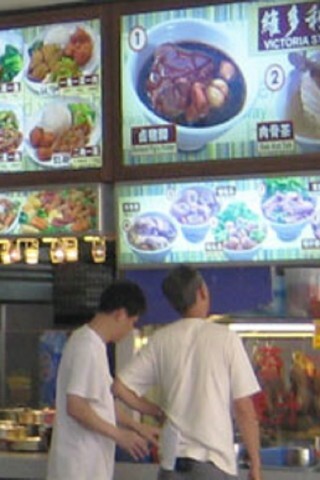 Singapore may be a shopping mall nation, but that means you’re never far from an easy, affordable foodcourt meal. If you’re from the West the word ‘foodcourt’ may evoke images of burgers and pizza slices, but in Singapore this couldn’t be further from the truth. Singaporean foodcourts mostly serve Singaporean food – think of them as hawker centres with... Read our full review of Great meals in malls: Orchard Road foodcourts. 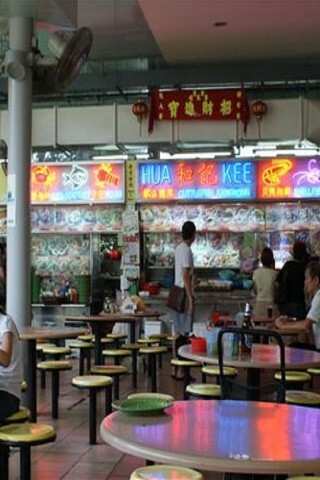 Offering delicious food at bargain prices, hawker centres are one of our favourite things about Singapore. Here’s everything you need to know before sitting down for a meal at a hawker... Read our full review of Etiquette at Singapore hawker centres. Though they’re best known for spicy foods like chilli crab and char kway teow, Singapore hawker centres also serve up a quick, cheap breakfast. 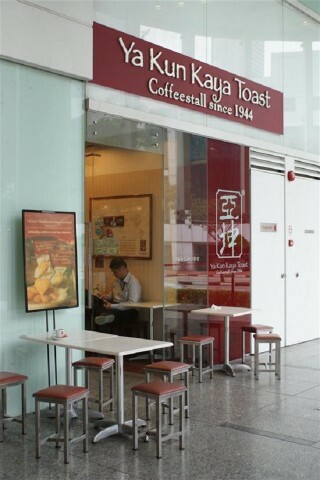 One of the most popular local breakfast items is kaya toast, a tropical twist on toast and eggs with enough calories to last you through... Read our full review of Singapore hawker dishes: kaya toast. A Singapore hawker dish of Chinese origins, wonton mee takes two of our favourite things – noodles and dumplings – and combines them into one steaming bowl of goodness. Add a generous serving of roasted pork and you’ve got a delicious meal that will set you back only... Read our full review of Singapore hawker dishes: wonton mee. 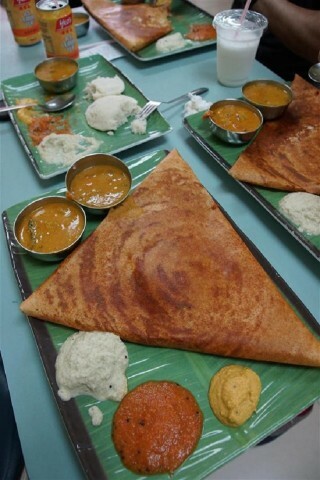 Thosai (also spelled dosa) is a savoury pancake served with a slew of spicy dipping sauces. Like so much of the Indian food popular at Singapore hawker centres, thosai are cheap, tasty and 100%... Read our full review of Singapore hawker dishes: Thosai (dosa). Vietnam may be better known for fresh summer rolls, but at Singapore hawker centres you’ll find a comparable creation called popiah. Not only do popiah make a healthy snack, they’re a bargain at around S$1.50 per... Read our full review of Singapore hawker dishes: Popiah. 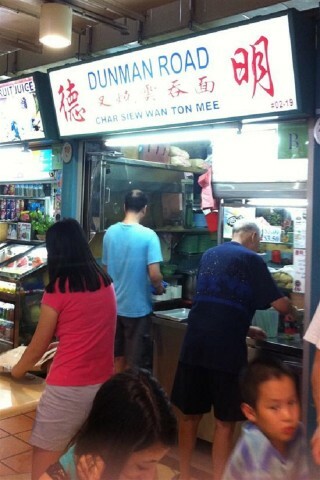 If you want to try Singapore hawker food but nothing too exotic, Cantonese roasted meat is the perfect introduction. 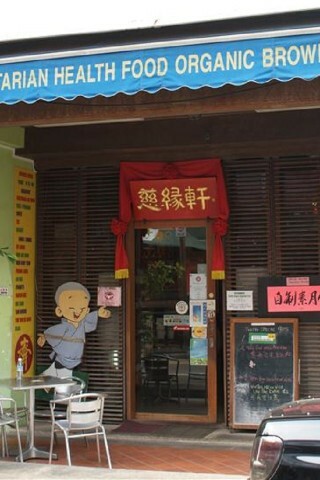 For only a few dollars, you get a complete meal with rice, soup and your choice of roasted duck, pork or chicken. The stalls are easy to identify too — just look for the display of crispy cooked animals hanging in the... Read our full review of Singapore hawker dishes: Cantonese roast meat. If there’s one thing that’s universal about the human race it’s our love of barbecue. At Singapore hawker centres, this frequently takes the form of satay – bite-size morsels of grilled meat served with a peanut sauce so good you’ll be licking the... Read our full review of Singapore hawker dishes: Satay. 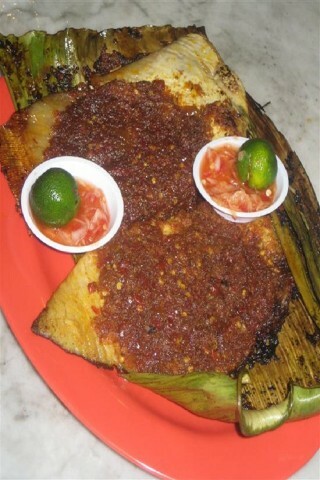 It’s wise to keep an eye out for stingrays when you’re swimming in shallow water, but you should also watch out for them at Singapore’s hawker centres – they’re... Read our full review of Singapore hawker dishes: Barbecue stingray. 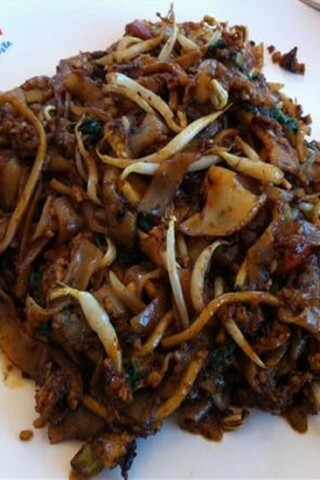 If you think fried noodles don’t get any better than phad Thai, it means you haven’t tried char kway teow. This popular Singapore hawker dish combines rice noodles, seafood, Chinese sausage and lard into one sinfully savoury dish. We hope you’re not counting... Read our full review of Singapore hawker dishes: Char kway teow. Spicy, sour, sweet and savoury – the popular Singapore hawker dish of laksa blends many flavours into one delicious bowl. Once you try it, you may just find yourself craving hot soup in spite of the tropical... Read our full review of Singapore hawker dishes: Laksa soup. If you’re a fussy eater who likes to know every ingredient that goes into your meal, this healthy soup is the perfect Singapore hawker dish for you. Every bowl of yong tau foo is custom-prepared with the diner choosing the ingredients and even the flavour of the... Read our full review of Singapore hawker dishes: Yong tau foo. 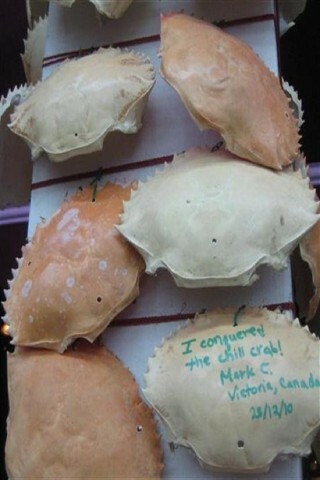 If there’s one dish that tops the “must-eat” list of visitors to Singapore it’s chilli crab. Whether you eat it in a hawker centre or a posh seafood restaurant, digging into a whole crab swimming in sweet and spicy sauce is the most memorable (and messy) meal that Singapore has to... Read our full review of Singapore hawker dishes: Chilli crab. Sometimes simple is best. 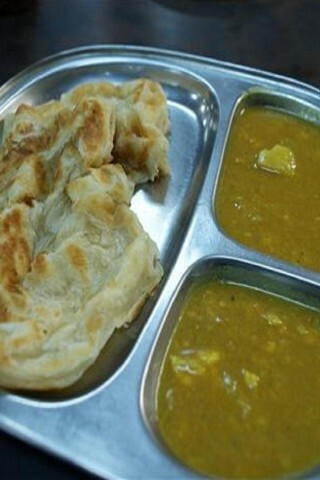 Roti prata, a popular Singapore hawker dish imported from South India, is a deliciously buttery flatbread served with a bowl of curry. It’s equally popular for breakfast or a midnight snack, and is one of the few hawker dishes that is easily made... Read our full review of Singapore hawker dishes: Roti prata. 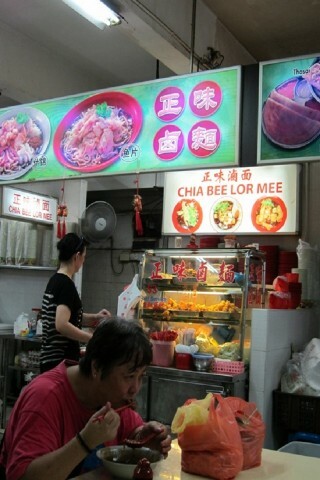 Lor mee is a hawker dish of Hokkien heritage. The lor or gravy is simmered for hours, with spices, meat stock, egg whites and corn starch to give it its sticky consistency; served with flat yellow noodles and some crunchy additions, it’s dish worth seeking out while you’re in Singapore. (You’ll also find lor duck, lor pork and lor beancurd at cheap stalls right across the city... Read our full review of Singapore hawker dishes: Lor mee. 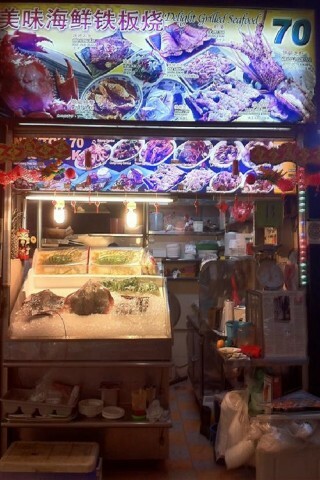 There are steamboats — and then there are fish-head steamboats. 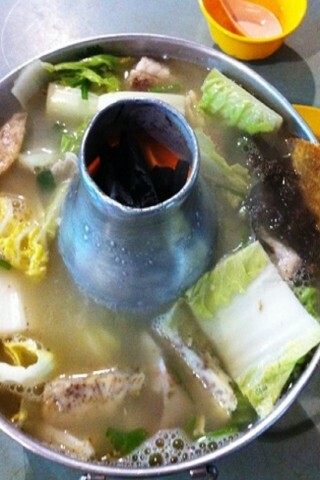 If you don’t already know, a steamboat is an Asian hotpot of a simmering stock in which one cooks meat and vegetables. While the steamboat scene in Singapore is a hodgepodge of Thai, Sichuan, Japanese and Korean buffet varieties in restaurants, the classic Singapore hawker steamboat for a family dinner out is a fish-head... Read our full review of Singapore hawker dishes: Fish-head steamboat. 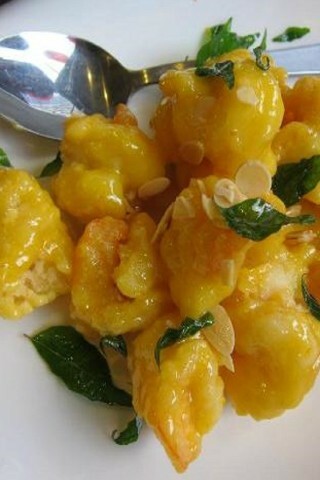 So you really want to try a classic Singaporean hawker dish? 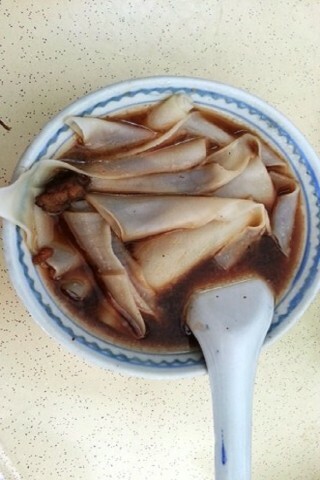 Kway chap isn’t for beginners, and will perhaps only suit those brave enough to lust after, say, haggis in the West, but it’s well worth seeking out for its rich soy sauce-based gravy, delectable flat noodles and tender pork offal. Forget newfangled nose-to-tail dining; this is the original real deal, a slurpworthy breakfast that... Read our full review of Singapore hawker dishes: Kway chap. Teochew porridge or ‘muay’ is so healthy that it doesn’t seem like a typical hawker dish — in fact, it’s likely as close as one will get to home-cooked food outside your home. Pretty much every food court or hawker centre in Singapore will have an ‘economy rice’ stall — a smorgasbord of meats, fish and vegetable dishes to go with a serving of rice, but not all offer porridge. 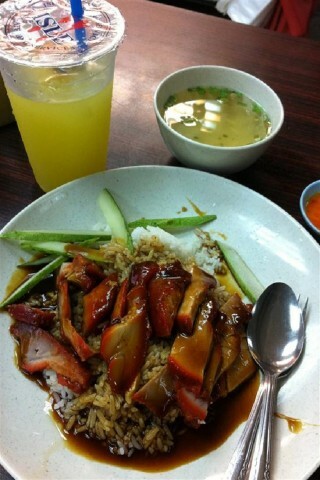 The... Read our full review of Singapore hawker dishes: Teochew porridge. 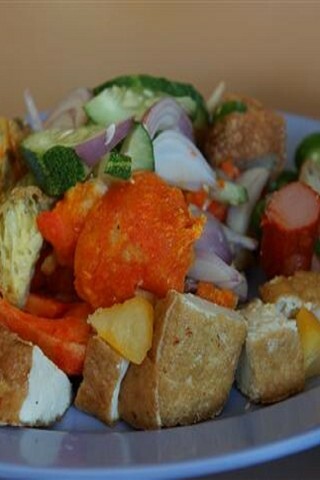 Rojak is a Malay word meaning ‘mixture’. 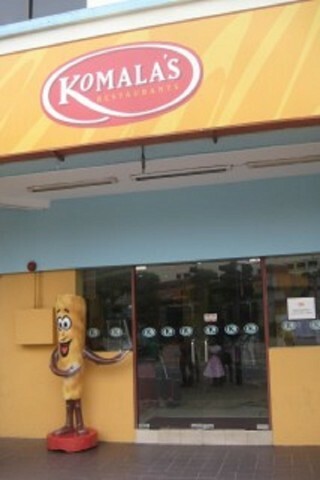 But if you hear it used in conversation in Singapore, it’s probably referring to what’s for lunch. Rojak is the name of not one but two hawker dishes, and both are delicious and completely... Read our full review of Singapore hawker dishes: A tale of two rojaks. 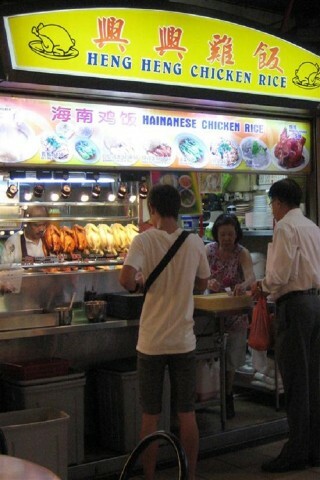 Forget chilli crab — if Singapore has a national dish it’s definitely chicken rice. 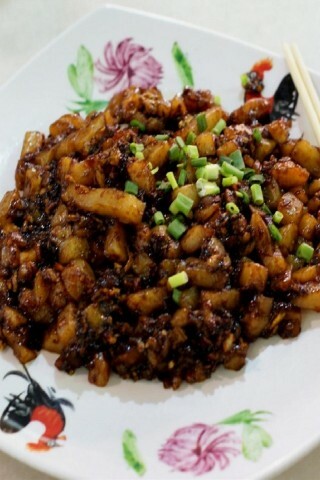 First of all, this simple but tasty dish is something that Singaporeans genuinely eat all the time. No hawker centre is complete without a chicken rice stall and it’s a balanced meal – carbs, protein, chilli sauce – for just a few... Read our full review of Singapore hawker dishes: Chicken rice. Placing an order for “carrot cake” with a wizened man with a wok, it’s hard to imagine that anyone would expect a slice of cake with cream cheese icing. The name of this classic Singapore hawker dish isn’t meant to deceive; it’s simply the result of a direct translation from... Read our full review of Singapore hawker dishes: Carrot Cake (chai tow kueh). 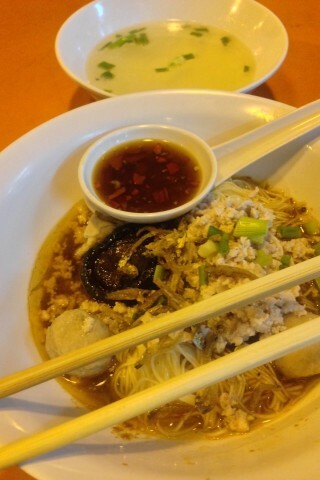 Fishball noodles are a Singapore staple found in almost every hawker centre and coffee shop. The simple combination of noodles in soup or chilli oil and balls of minced fish means that there is little variation for a stallowner to make their dish a cut above the rest. 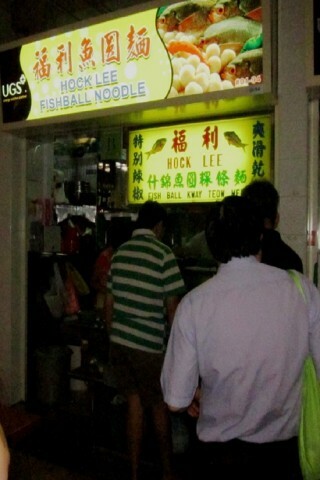 Hock Lee Fishball Noodles, however, has made that leap into greatness by using fresh ingredients that result in a purity of... Read our full review of Hock Lee Fishball Noodles. 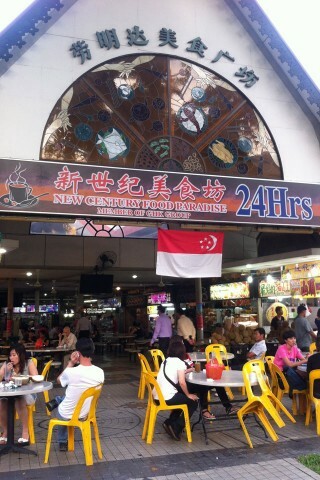 Chinese cuisine reigns supreme at this hectic hawker centre between the business district and Chinatown. Many people say that Singapore’s best chicken rice — practically the national dish — comes from Tian Tian Chicken Rice stall and it’ll only set you back $3. 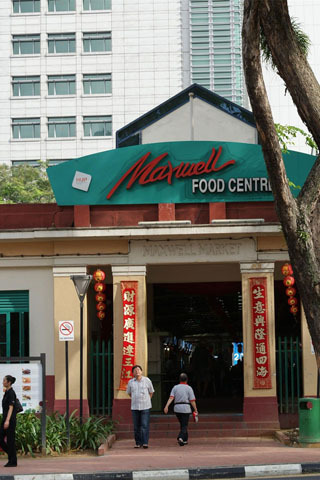 Other popular dishes include oyster omelettes, congee (rice porridge), fish ball noodles, char siew barbecue pork, dim sum, fried... Read our full review of Maxwell Road Food Centre. 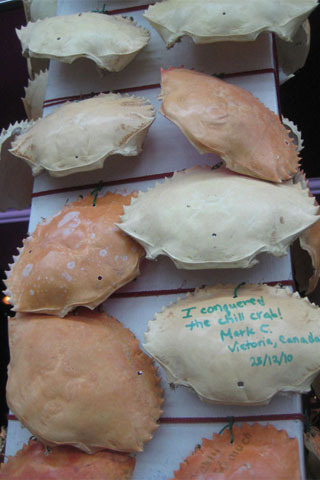 Ignore the touts who try to direct you to a table near their stall — you’re free to sit anywhere — and browse the catch of the day displayed on ice in front of each stall. While chilli crab is the obvious choice, black pepper crab, crispy cereal prawns, grilled fish, and spicy sambal stingray are just as delicious — always ask the price (usually quoted per 100 grams) before ordering fresh... Read our full review of Newton Food Centre. Don’t be confused by the absence of prices, elegant Annalakshmi Vegetarian Restaurant operates on an eat what you want, pay as you feel philosophy. Start the meal with some fried samosas then move on to north Indian mains like vegetable jalfrezi (mixed vegetable curry) or paneer butter masala (cheese in spiced tomato gravy). The food is so rich and so flavourful you won’t miss the meat.... Read our full review of Annalaksmhi. You can trust this vegetarian restaurant opposite the Sri Veeramakaliamman Temple for tasty Indian food at prices even religious pilgrims can afford. 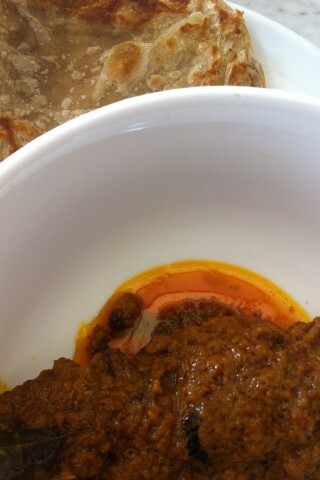 Curries and rice dishes are precooked so just take a look (or a sniff) at what’s available. For a freshly prepared snack order some roti prata (flatbread) or dosai (savoury pancake) which come with a bowl of dahl curry for dipping and costs less... Read our full review of Suriya Restaurant. 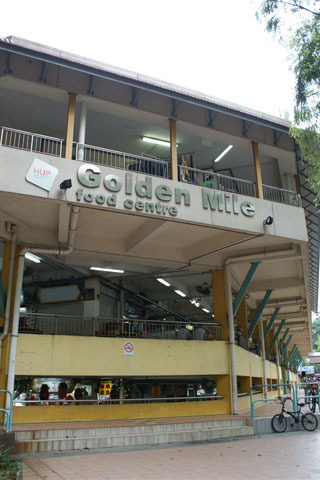 Follow your nose to this multi-purpose market building in Little India. While the upper floors sell everything from saris to CDs, the ground level is largely a hawker centre with stalls turning out curries, briyani rice, roti murtabak (flatbread stuffed with minced meat and onion), dosai (lentil pancakes with curry), and Indian-style fried noodles — bright red from the added chilli. Wash it... Read our full review of Tekka Centre. 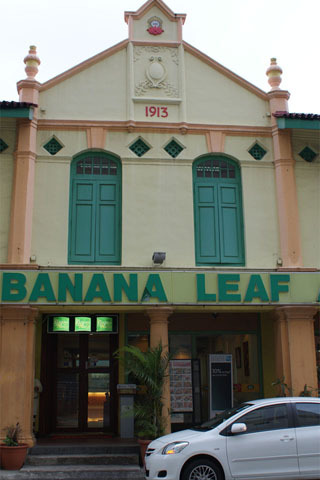 Forego any formalities and even the cutlery for one of the most satisfying Indian meals in Singapore — banana leaf curry. 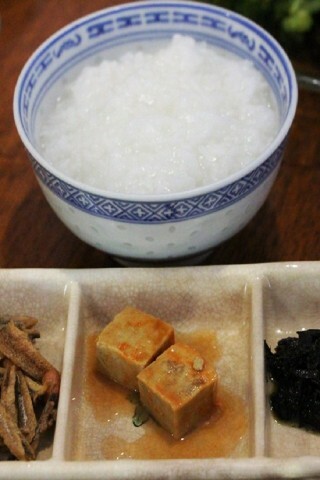 A swatch of banana leaf serves as your plate and rice, dahl and veggies are heaped on top and constantly refilled. Meat dishes are ordered separately and come in portions big enough to share — try the butter chicken, tandoori prawns or the famous fish-head curry (it... Read our full review of The Banana Leaf Apolo. There’s lots of competition for tasty food and good value in Little India, so the fact that Komala’s has been open more than 50 years and is always busy speaks for itself. This South Indian restaurant has implemented a fast food-style ordering system to deal with the steady stream of customers, but the food remains fresh, flavourful, and 100%... Read our full review of Komala's Restaurant. 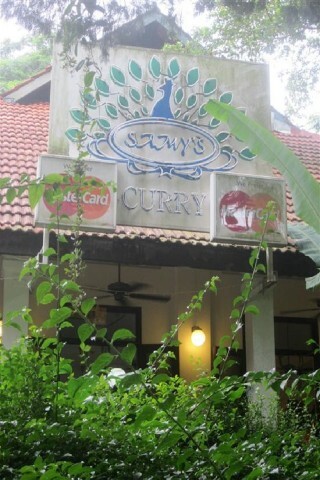 Serving up South Indian specialties in a casual colonial setting, Samy’s Curry is a Singapore institution. The fact that Samy’s has been around for 50 years is a testament to how good the food truly... Read our full review of Samy's Curry. Far East Plaza is known as a hang-out for Singapore’s teenage ah lians and ah bengs who flock there for cheap, flashy fashions. Since a meal at this mall usually means KFC and bubble tea, I was sceptical when I heard there was a good Turkish restaurant tucked away... Read our full review of Singapore's best Turkish kebab?. 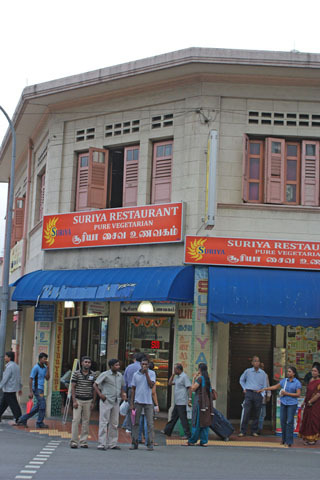 This restaurant near Sultan Mosque claims to be the first to serve briyani in Singapore and, considering it’s more than 90 years old, it just might be true. 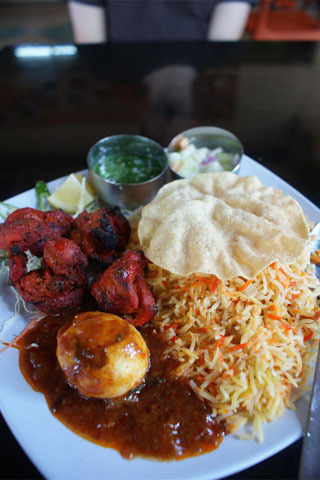 Regulars swear by the mutton briyani which is so tender it melts in your mouth, but chicken, fish and vegetarian versions are also available. 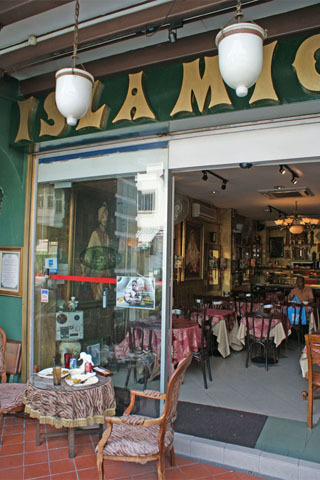 If you feel the need to try something other than their signature dish they serve murtabak, nasi... Read our full review of Famous Islamic Restaurant. There’s no question that Singaporean food is delicious, but this cosmopolitan city is also a great place to satisfy any cravings for food from far-flung countries. The fact that all food in Singapore is imported from overseas means you can get any ingredient here, including the tomatillos, chipotle peppers and masa harina necessary to make authentic Mexican... Read our full review of Mexican food in Singapore. With the opening of Singapore’s new casinos has come a slew of celebrity chef restaurants. If you’re a foodie or fan of ‘Top Chef’ you’ll certainly recognise names like Wolfgang Puck, Joel Robuchon, and Guy Savoy. While Singapore is already an expensive city for a formal meal, these restaurants take fine-dining to a new extreme with S$200 steaks and S$500 degustation menus (that’s... Read our full review of (Relatively) affordable celebrity chef meals in Singapore. 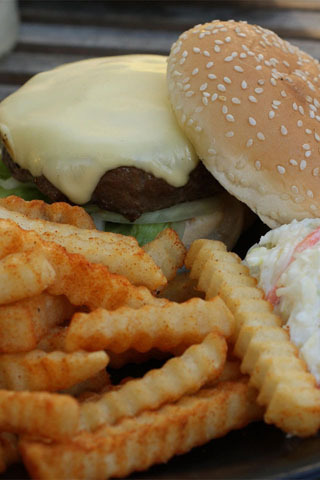 You can feast on every kind of Asian food imaginable in Singapore, but sometimes nothing satisfies like a burger. Restaurants in trendy areas like Clarke Quay charge upwards of S$20 for a burger and fries, but it is possible to satisfy your Western craving for much less at a hawker... Read our full review of Botak Jones Burger Stalls. Atop Mount Faber, the second highest hill in Singapore, is a glass-walled dining complex called the Jewel Box. 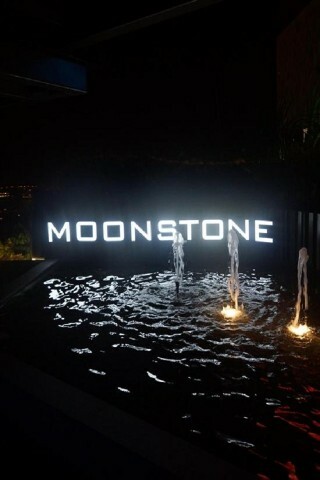 Inside you’ll find three fine-dining restaurants plus Moonstone, a casual al fresco bar serving up Japanese nibbles and stunning views of Sentosa... Read our full review of Moonstone Bar. At their second location beside the river the Prince of Wales feels less like a backpacker bar and more like an Aussie pub. Like the Little India location it’s a reliable spot for live music with a changing line-up of local bands and international indie bands plus a Sunday afternoon jam session. 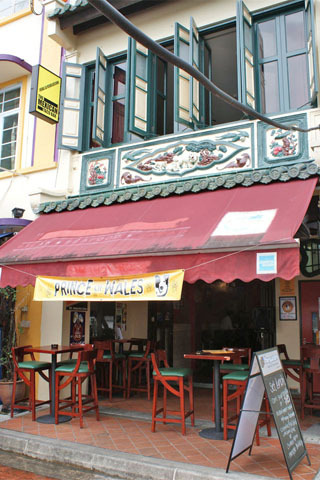 In addition to the usual offerings, Aussie beers are on tap with pints from S$8 and further... Read our full review of Prince of Wales. 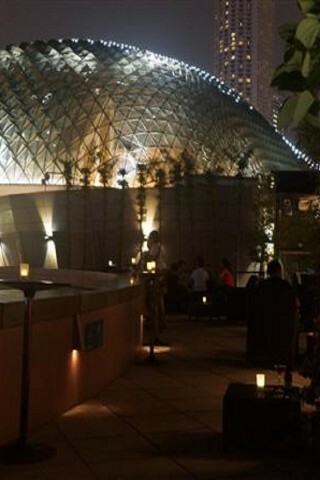 Set on the roof terrace of Singapore’s Esplanade Theatres, Orgo offers more than just spectacular views of the bay. The bar’s cocktail menu is out of this world featuring original creations like vanilla dragonfruit martinis and spicy strawberry... Read our full review of Orgo Bar. 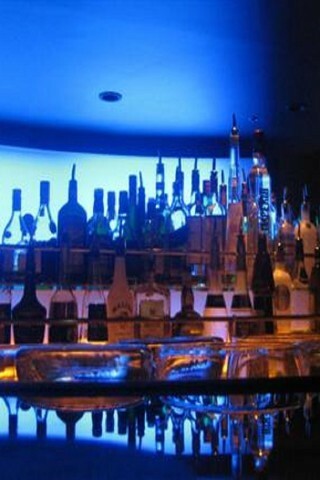 Looking for a place to wet your whistle in the Orchard Road area? Skip the bland hotel bars and head to historic Emerald Hill for a tipple among the palm trees and Peranakan... Read our full review of The bars of Emerald Hill. 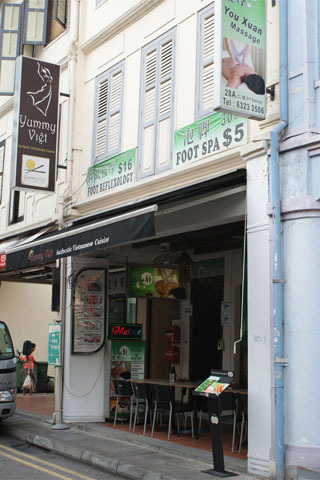 For countless reasons – cheap food, a central location – the Little India neighbourhood is home to Singapore’s highest concentration of hostels. Since it’s no secret that backpackers like to drink, backpacker bars have popped up to keep them full of Tiger Beer. Here’s a rundown of where to go and what to... Read our full review of The backpacker bars of Little India. There are many reasons why Clarke Quay is Singapore’s top spot for an evening drink: the views of the sun sinking over the Singapore River, the eclectic crowd, and the fact that nearly every bar has a happy hour drink special! Here’s a quick guide to finding the cheapest drinks at Clarke... Read our full review of Happy hour drinking at Clarke Quay. With a record that includes banning chewing gum and censoring slapstick comedies like Borat, it’s fair to say that Singapore is not known for its sense of humour. But that doesn’t mean Singaporeans don’t enjoy a good laugh. To see the city-state at its silliest and most politically incorrect, check out Comedy Masala night every Tuesday at Home... Read our full review of Comedy Masala at Home Club. Though Tiger is undisputedly the official brew of Singapore, if you’re looking for a locally-brewed beer with a little more oomph there are some fine... Read our full review of Singapore's best microbreweries. 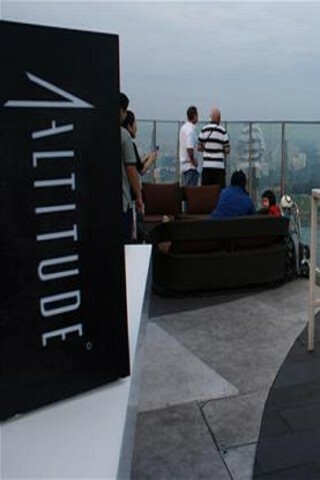 On the rooftop of the tallest building in Raffles Place, 1-Altitude isn’t just the highest bar in Singapore it’s the highest al fresco bar in the world. The bar is completely uncovered and there’s nothing but a five-foot glass wall to keep you from walking off the edge and plummeting 282 metres onto a... Read our full review of 1-Altitude. 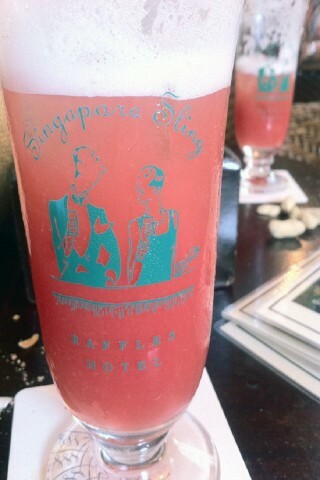 Sipping on a cherry-red Singapore Sling at the Long Bar in Raffles Hotel is perhaps the most iconic thing to do in Singapore. 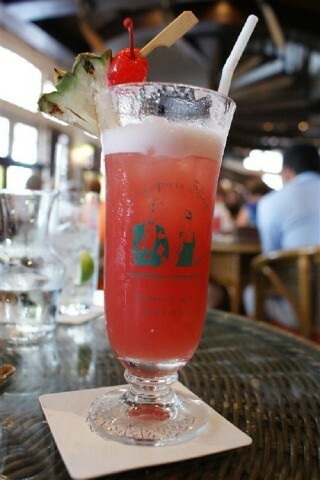 Though it won’t score you the cultural points of say a visit to the National Museum, you may not feel too upset about spending an hour or two forcing yourself to down the slightly sweet, easily drinkable cocktail in the name of historical... Read our full review of Long Bar at Raffles Hotel. 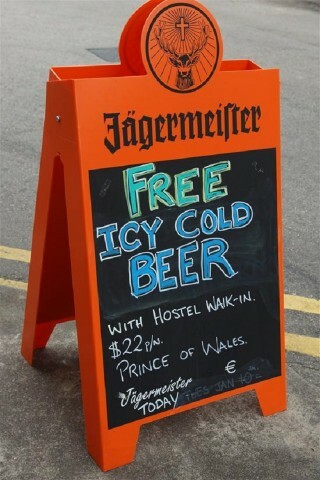 It doesn’t take long to realise that drinking in Singapore is an expensive habit, but drink promotions can make an evening out a little more affordable. While we have already covered Singapore’s best happy hours, here are my latest suggestions for getting the most booze for your buck every day of the... Read our full review of 7 days of drinking in Singapore. 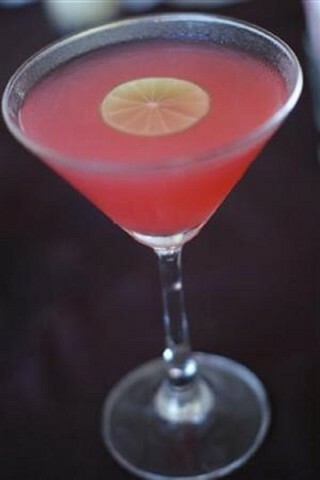 As a modern, independent gal I’d normally turn my nose up at the thought of drink prices depending on gender… but, given Singapore’s expensive nature – especially when it comes to drinking – I’ll take all the deals I can... Read our full review of Ladies' nights in Singapore. 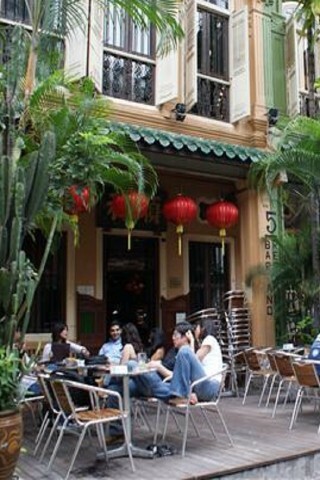 Don’t let your brain turn to mush while you travel – flex those neurons at one of Singapore’s pub quizzes. 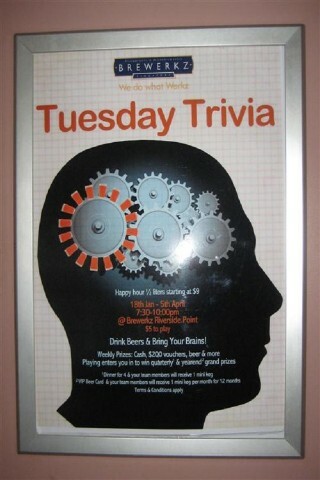 By my count five bars reliably host a weekday trivia night with prizes and a drink special to accompany... Read our full review of Strain your brain at a Singapore pub quiz. No matter where on earth you travel, you can always find two things to quench your thirst: Coca-Cola and Guinness beer. In Southeast Asia Coke is served in all manners including plastic bags filled with ice, but the best way to enjoy a Guinness remains at a traditional Irish pub. 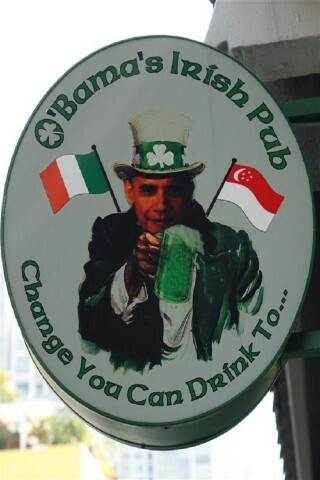 With St Patrick ’s Day just around the corner, now seems like the perfect time for a round-up of Irish pubs in... Read our full review of Irish pubs in Singapore.